Hello, I'm Gregor and I put this site together. At first, you'll find an overview of recommended external battery packs, followed by a public poll and a general buying guide on external battery pack. Further down on this page, we do link to other well-written articles and reviews about external battery packs. At last, you'll be able to weight in your own opinion in the comments section. If you also want to vote on the best external battery pack, click here to view the poll. Gadgets have become to us what water is to life. If our phone or tablet shuts down, our routine could as well! The need to have them up and running all the time is crucial to maintaining our vitality. 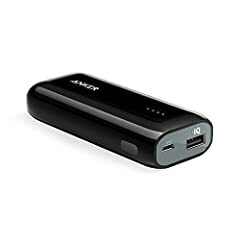 While these gadgets have attained remarkable heights in technology up gradation and speed, the batteries on which they run seem to have left a lot to be desired. Smaller devices necessitate the use of smaller batteries, but unlike those circuit boards that have made the leap towards better performance despite smaller sizes, rechargeable batteries have been left behind. It is here that the necessity of purchasing an External Battery Pack crops up! Before you can compare and choose between different products, you obviously have to get the hang of the basic terms, numbers, and units frequently listed on the specification details. You basically should be aware that capacity of Battery Packs is measured or expressed in mAH, or milliampere-hour. 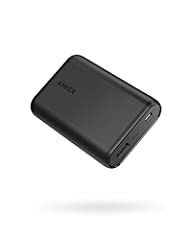 Typically, your choice of the pack should hold about the same capacity in mAH as your device’s battery you are going to recharge so that you can get 100% charge in your device without having to recharge the battery pack twice. For instance, you can charge 100% of your 1715mAH iPhone 6s using a Battery Pack of 2000mAH capacity and still preserve some for later. The other aspect to consider is the output, expressed in Amps or Amperes (A). It is a measure of how rapidly the battery can recharge the device. For smaller devices and phones, you would generally come across 1 amp output value. 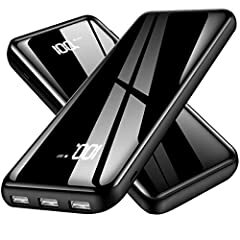 For rapid charging and use in bigger devices like tablets, you would be better off choosing a Battery Pack with a higher output of 2 Amps. Ordinarily, portable Battery Packs come in size ranges from 2000mAh up to 15,000 mAh. As the numbers grow bigger, so does the power output, effectively translating into more number of recharges for your devices. Input capacity of Battery Packs ranges from 1 Amp to 2.4 Amps. With larger input figures, you are liable to get speedier recharges. The majority of wall chargers can deliver up to 2.4 Amps. This factor needs consideration as you will realize that a 1 Amp charger takes almost twice the time required by a 2.4 Amps charger. A robust exterior that can withstand impacts and abrasions is a must if you are on the constant move. There can be times when you may accidentally drop the Battery Pack on a hard surface or worse step on it. The charger must have the resistance to endure such abuse and to be able to do so, should have a hard casing to protect the battery inside. More heavy-duty materials like aluminum would be ready to serve you well in case of travel or off-roading. Some products heat up to a pretty high temperature on charging. So the material covering the battery has to be able to tolerate such heat almost every day. Depending on the ‘how’ of carrying the Battery Pack, you will have to pick the Battery Pack of a particular form or design. If you intend to place it inside your pocket, then its best to choose a slimmer bodied pack for mobility. However, on the flipside, you will end up with lesser capacity and added features in a compact pack. 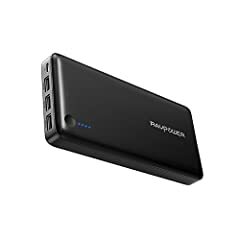 But if you are bent on the ability to extract endless supply of power from the pack and also have the liberty to carry a backpack or briefcase every time you step out of the house, then a large-sized heavy duty Battery Pack can be your preference. However, the ideal design and functionality mix cannot always be achieved, and you have to pick one that can balance your needs with the presented form. Many a time you will come across firmly packed Battery Packs being sold with limited details on the type of USB connector that is attuned to the devices meant to be charged. You should ensure that the connections go with your device. Although this may sound trivial, you should understand the difference between Lightning connector for iOS and a micro-USB connector. With the wrong connector for your device, you could end up ruining your possibilities of using the battery pack. There are battery packs that come with a standard integrated cable for charging along with a list of compatible devices. Also, there are longer cables for enhanced functionality. You may accordingly pick one based on your needs. 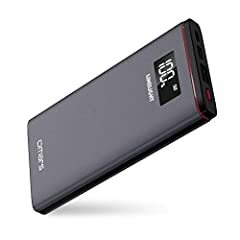 Although there is not much to expect from a portable charger apart from its charging ability, you might be interested in certain bonus features that certain brands have to offer. For instance, with an extra cable at your disposal, it would come useful to charge an extra device simultaneously provided the charger has an additional USB port. Multiple output ports, seen in most high-end brands also ensure the longevity of the battery pack in case one of the ports starts to malfunction. 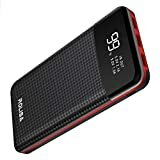 Other features that can be looked for are a flashlight, hand warmer, waterproofness and charge indicator - the last one appearing as stock in almost every product. 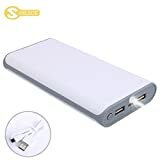 If you need a portable charger to use immediately, there are battery packs that can be used directly after purchase without the need to charge it at home before use. Others require overnight charging for the first time before use. Majority of the Battery Packs come with an LED Indicator to indicate the amount of juice left to caution you for timely recharge of the same. For those who are mobile and find themselves mostly on the road without proper access to a power outlet, investing in an external pack has to be the most prudent thing to do. The dilemma then comes down to picking the right one as you would realize that not all such battery packs pack the right punch. The key is to match up the specs of your device with that of the portable charger, depending on its wattage conditions. With these key points to remember, you are good enough to begin your hunt for a Battery Pack that best suits your requirements and budget. If you are looking to be economical, then you may skip the added features offered by some brands and instead choose one that gives more priority to functionality and the one thing it is meant to do – charging. Our recommendations will surely come in handy for you to pick the perfect one. Besides, you may read through some reviews of popular Battery Packs from reputed manufacturers on e-commerce sites like amazon.com. You may decide to visit a nearby store to learn more about the features of available battery packs. Ordering one online is also safe because most of the manufacturers and sellers have return policies along with warranty cover. Because this is not a product you buy every day, you have to be sure about the devices you are going to use it with. 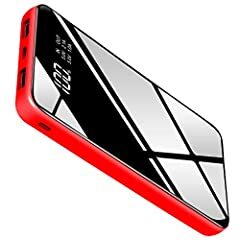 If you are planning to purchase a new phone in the next few days, it is better to postpone your Battery Pack buying plans as it could potentially jeopardize your phone’s compatibility issue. Always pick a Battery Pack that comes with at least six months warranty. Many of the manufacturers offer up to 2 years of warranty on some products. To get rid of ‘low battery anxiety,’ purchasing a reliable Battery Pack is a must. Alas, there is no battery pack currently available that can enchantingly recharge itself on being drained out. So it demands being kept fully charged to perform its function, which is pretty easy to do. 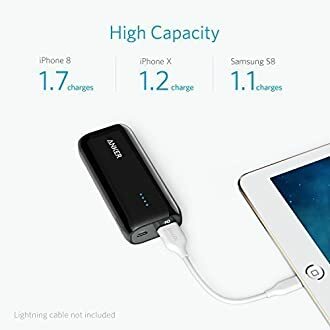 To charge, you have to plug the cable into the input port of the pack that is supplied along with the pack to a wall charger, and within a few hours, the charge in the battery pack is replenished to 100%. 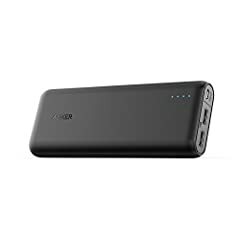 To sum it up, the wattage, capacity, and type of port are essential factors to consider in your quest to buy an ideal External Battery Pack. New: Our editorial list of additional articles. 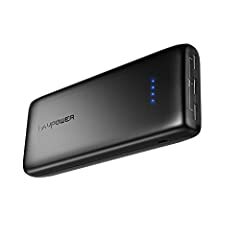 We decided to gather informartion all around the internet and present you a list of helpful, external links to interesting reads about the best external battery packs and their reviews and guides. You're not convinced by the previous writings about external battery packs? Of course you can just choose by visual impression, that's why we present you all our chosen products at a single glance. A click on any image is enough to open an external link to the best offer we could find. Finally, we want to present you our rating criteria for our external battery pack comparison, so you can better understand and comprehend our recommendations and the rating process itself. Furthermore, we still ask you to keep your eyes open for short term deals in order to make some great bargains with external battery pack in 2019. Published by G. Krambs on StrawPoll.com (last update on 2019-04-23 08:18:21).